An interesting tale in our history is the story of the Geek. 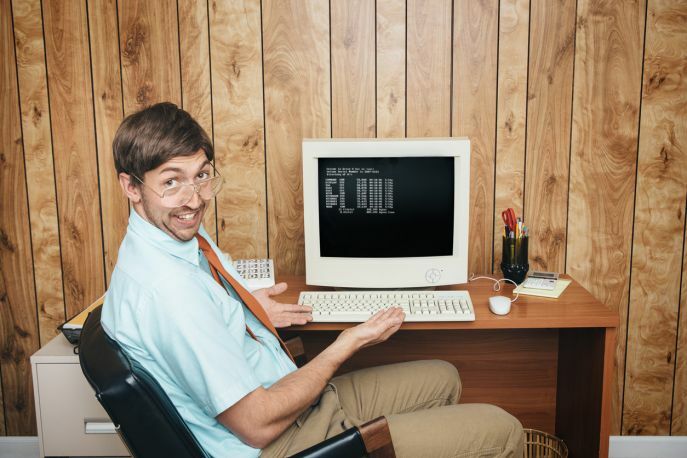 The word Geek has been around since the early 19th century. It originated from the Low German word for “fool/freak/simpleton” and was commonly used to refer to crazy circus performers who would pull crazy stunts like eating insects and biting the heads off small animals. (Looking at you Ozzy.) Over time the word came to be used to describe anyone who was odd or unapproachable. When the home computer began to take off in the late 70’s and early 80’s, the word “geek” came to describe the outcasts who happened to be interested in this new fad of computers. It would probably be appropriate to say there is a stereotypical geek, but for the more learned among us, let’s say there is an archetypal geek. Simply put, an archetype is a pattern of behavior. This pattern isn’t only evident in one family, country, or even culture: it’s global! 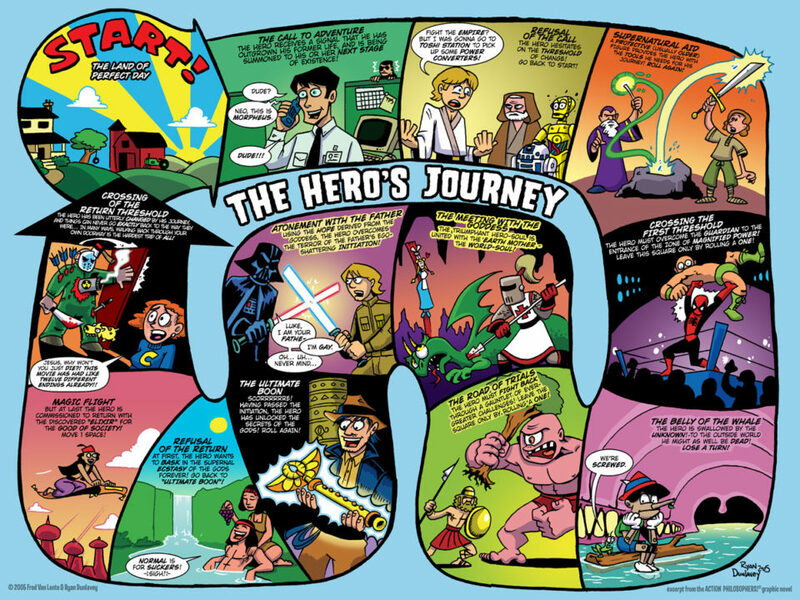 One great Example of an Archetype is the Hero, or Hero’s Journey as pictured above. Archetypes are so central to humans that across centuries, continents, and cultures the archetype of the hero has been seen in countless stories, films, novels, and pieces of art. The Hero’s Journey is one such archetype that shows how the plot of stories written independently still share core plot points. King Arthur, Star Wars, Tarzan, and Achilles are all examples of a Hero’s Journey. People have become so enamored with Archetypes that we have created dozens of tests, scales, and questionaries to find your archetype. Modern geeks are something of a mixed bag. Labeling them is not as easy as you would think. In the 80’s geeks were anyone who kiddos called “losers.” Today, the word “geek” has become synonymous with intelligence, passion, and a certain fan-boy quality. T-Shirt companies now sell shirts proclaiming the wearer to be a geek. Phrases like “geek chic” have fallen into common practice. The word “geek” is no longer a stigma, it is a badge of honor. To be a geek is to be passionate about something to the point of obsession. 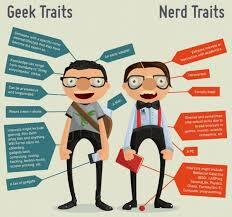 Geeks are sometimes mistaken for nerds, a distinction that must be made. Nerds, a word that originated in a Dr. Seuss book, is what Geeks used to be. Nerds are socially inept, and often technically or intellectually advanced. Their heightened intelligence often leaves them lacking in basic social skills and empathy. This chart can help you identify Nerds and Geeks out in the wild, just like this chart can help you identify animals by their droppings. (Scientist have yet to discover a way to identify Nerds from Geeks by their droppings, but rest assured we will find a way).